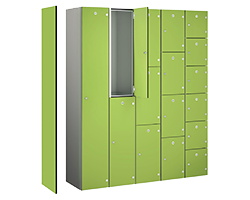 If you require a different size, need wet area zintec coating or if you would just like to know more information about our heavy duty lockers then please give our sales team a call today. At CS Storage we wont be beaten on price, we help many different industries find the lockers that they need at a price that they can afford! If you manage to find a like for like locker elsewhere we will do our upmost to beat that price!